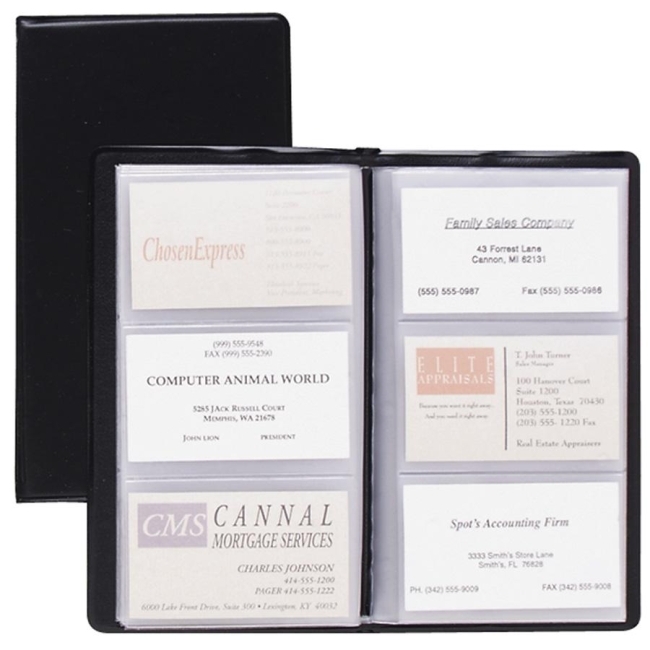 Organize important business cards and contacts in this easy-to-carry business card file. 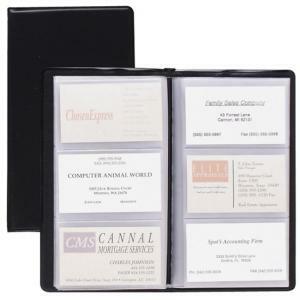 File can hold up to 72 business or credit cards, all within quick view. Business card file features a vinyl cover.